This photo was taken in May. Despite that, deep snow still lingers in the higher elevations of the Mt. Rose Scenic Drive. 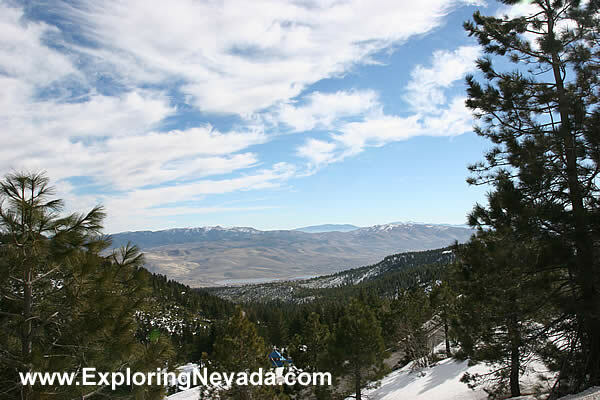 This photo looks back down on the Washoe Valley in Nevada.